Eugenia is an existential Counsellor & Psychotherapist. She has a MASocSc (Prof Counselling), and has extensive personal growth and development training spanning over twenty-five years, including over 15 years experience in the corporate world. In 2005 she spent 3-years as a live-in student in an ashram pursuing a 2400-hours Yogic Studies Teacher Training Diploma. Eugenia does individual and couple work, sees clients from 12 to 70yrs, and deals with a broad spectrum of issues ranging from anxiety, depression, relationships, performance and self esteem, to life purpose, retirement and empty nest issues. She is an open, fluid, highly intuitive and inspiring listener and communicator, and is passionate about supporting her clients in issue solving, self-knowledge and self-actualisation. Eugenia did her first Hoffman Process in 1998, a life changing experience. She has since done it twice more during her path towards freedom and self management, a rich journey of personal growth and development. 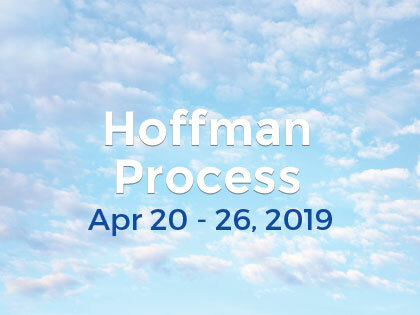 She has sent many of her clients to the Hoffman Process, always with positive feedback and results.